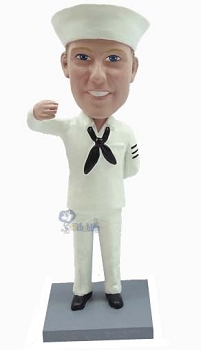 this Sailor Personalized Bobbleheads doll have light sailor uniform which include a long sleeve top, pants and a matching sailor cap. 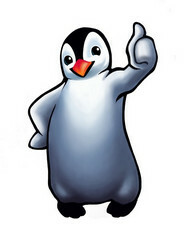 His right hand is up while his right is in his back. The sample show hats on the custom bobblehead dolls but these are not included unless you choose the add a hat option on the order form.